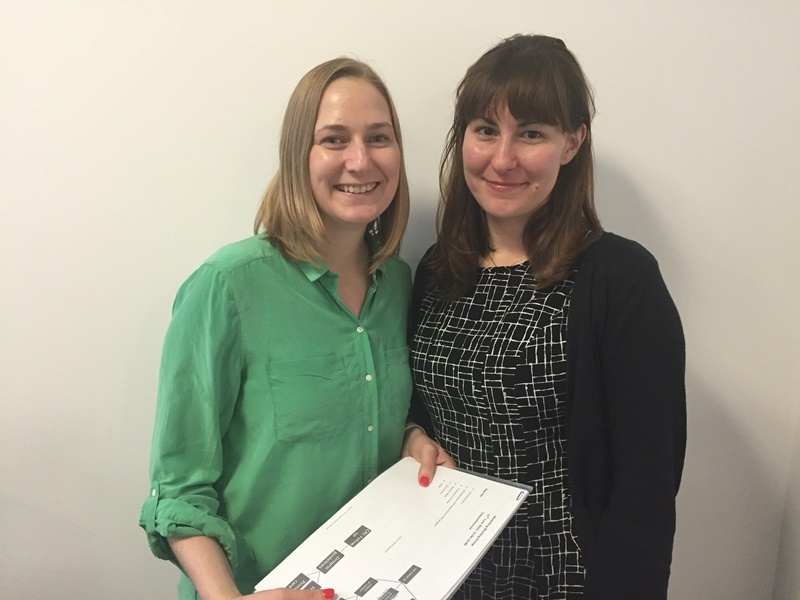 The National Cancer Registry (NCRI) has been delighted to host Antonia Virovska, a student from the Masters of Health Economics program at NUI Galway, for a three month summer placement to complete her degree. Antonia has worked with Alison Pearce, a NCRI health economics researcher, to examine the cost effectiveness of colorectal cancer follow-up care. Typically, when people finish their cancer treatment, follow-up care is done by specialists in the hospital. Follow-up care is used to monitor patients for signs of the cancer coming back, and to help patients with any ongoing side effects they have from their cancer treatment. Antonia’s work at the NCRI suggests that doing more frequent and invasive tests as part of colorectal cancer follow-up is not worth the additional costs, because it doesn’t lead to people surviving longer. In addition, having general practitioners (GPs) coordinate follow-up care instead of hospital specialists could save Irish health care resources without changing patient outcomes. Summer placements allow students to apply the theories and techniques learned in the taught modules of their course to real world problems and research questions. The NCRI benefits from the new perspectives that students bring to their projects, and has the pleasure of helping the next generation of Ireland’s cancer researchers get ready for the workforce. We wish Antonia all the best with her future as a health economist.